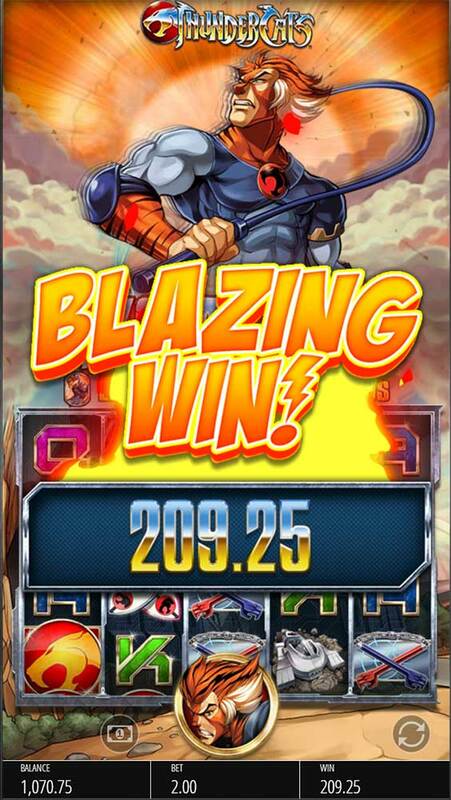 Thundercats – The Classic Cartoon Series Brought to Life as a Slot Machine by Blueprint Gaming! 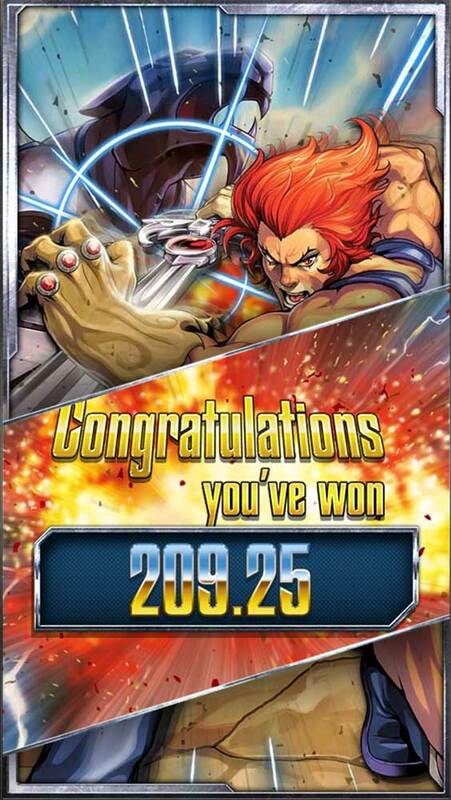 LeoVegas Casino has added the brand new Thundercats slot from Blueprint Gaming to their casino, based on the classic 1985 cartoon tv series. For players not old enough to remember this tv show it featured a group of catlike aliens Lion-O, Tygra, Cheetara, Panthro, Snarf and Wily Cat who battled various aliens including the classic Mumm-Ra the ever living. Needless to say, Blueprint gaming has managed to capture the true essence of this cartoon series in their slot and not only features the main characters on the reels but also some the most notable arch enemies in the bonus rounds too, all cleverly designed with a classic cartoon theme throughout. 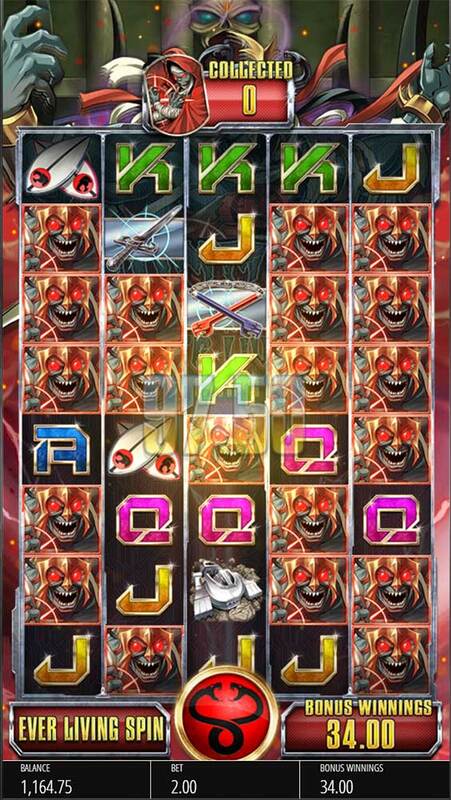 The base game uses a 5×4 reel layout with 30 fixed paylines but this can extend during various bonus features to an 8-row tall slot which is why the slot has been designed almost like a full-screen cabinet you would find in a regular casino, this does hamper the viewable area in desktop play but should be perfect on mobile devices. 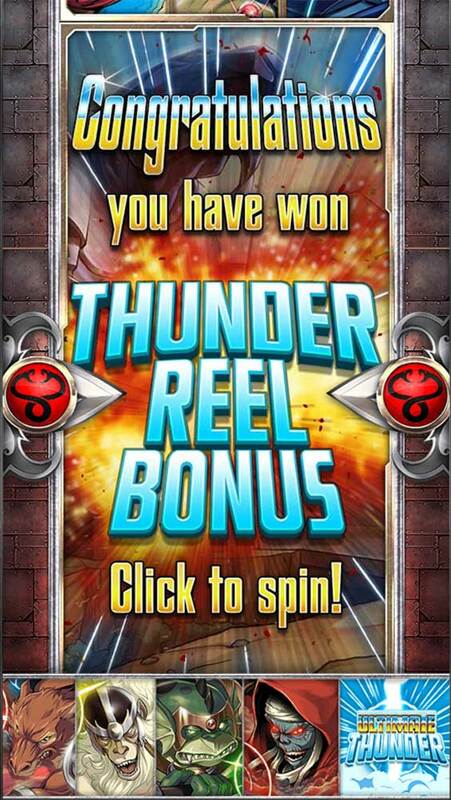 The Thundercats slot has many different bonus features on offer which include unique base game special features which vary based on the currently selected Thundercat (shown above the reels), along with 5 different free spins modes which can also be gambled once triggered to boost you to the more rewarding modes. Lots of new and exciting free spins modes are on offer including the most rewarding Ultimate Thunder Spins where 3 of the reels are fully wild and 8 rows high for the entire bonus round! 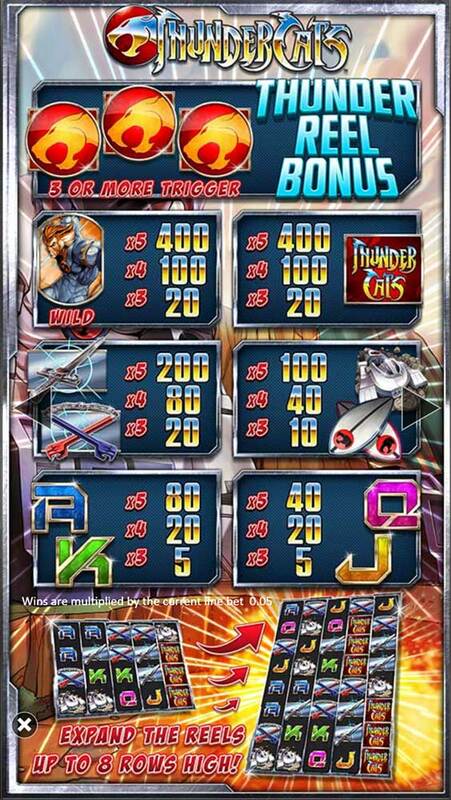 There’s a wealth of different bonus features in the Thundercats Slot including 5 different free spins modes on offer and plenty of randomly triggered base game features too. 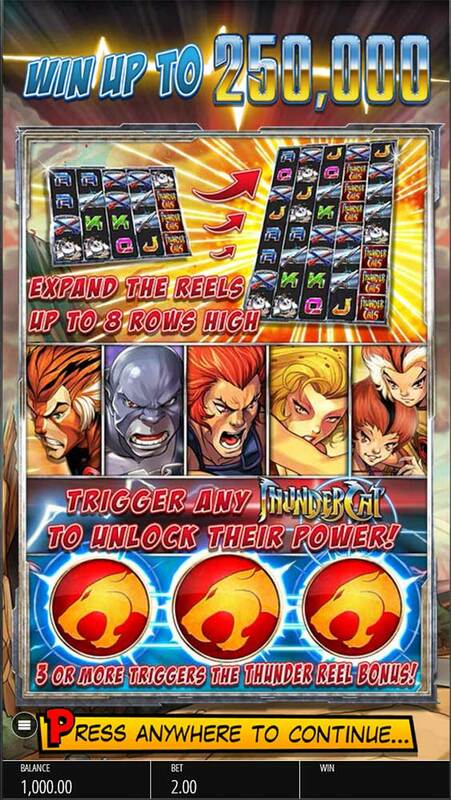 The main Thunder Bonus is triggered by landing 3 or more of the special Thundercats Scatter symbol anywhere on the reels, once triggered you then spin the Thunder Wheel and are awarded one of the five different free spins modes with an option to gamble up to a more rewarding bonus round, failing the gamble results in a random coin pay. Ultimate Thunder Bonus – 5 Win Spins with wild reels in reels 1,3 and 5 – 8 rows active. Mumm-Ra Free Spins – 10 Free Spins – Collect Mumm Ra Symbols for the final Ever Living Spin where they are all added onto an 8 8-row reel set, this can also be re-triggered with further symbols added. Slithe Free Spins – 10 Free Spins – Special Sticky Wilds that stay for the duration of the bonus – can Re-Trigger if a full stack of wilds lands on a reel ( 5 extra free spins awarded). 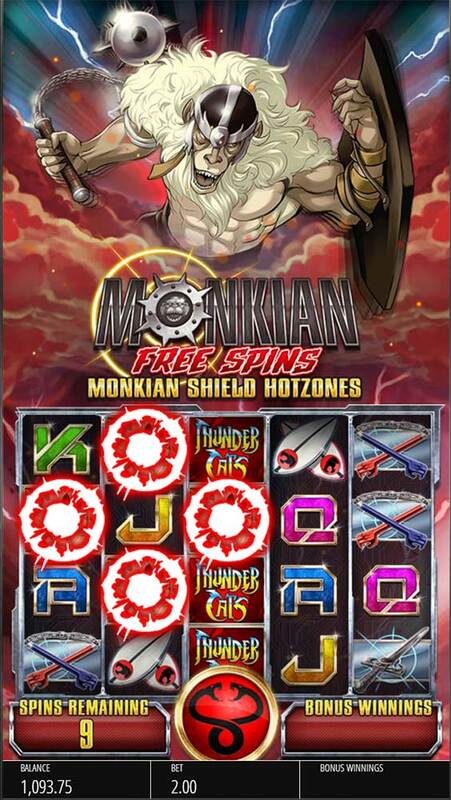 Monkian Free Spins – 10 Free Spins with special Monkian Zones that are overlayed on top of the reels, can re-trigger with the Thundercat symbol on reel 5 ( 5 extra spins). 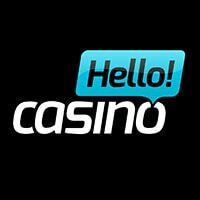 Jackalman Free Spins – 10 Free Spins with mad Jackal multipliers, wilds in view increase the multiplier up to a maximum of 10x, can re-trigger with the Thundercat symbol on reel 5 ( 5 extra spins). When you first load up the slot a random base game mode is chosen, this will change during play when a special Thundercats symbol lands on reel 5 with the option for a re-spin offered also. The base game features are as follows. Lion-O: Lion-O’s Sword of Omens – occurring on reel 3 will expand and trigger random wilds. 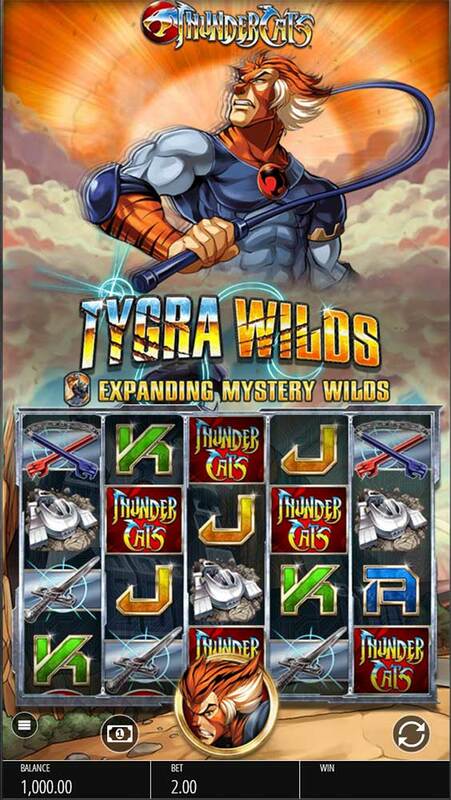 Tygra – Wilds in view pay the win, then transform into a stacked mystery symbol. Cheetara -: Cheetara symbol on reel 1 triggers a mystery streak, new wilds that land in view expands the reels. Panthro -: When Panthro Reels are active, reels can become linked and also expand in height. Wily Cat: Two special stacked wilds that can randomly be triggered with wins multiplied by 2x. Snarf – In any base game mode, Snarf can appear awarding a new win, or improving a base game bonus feature. 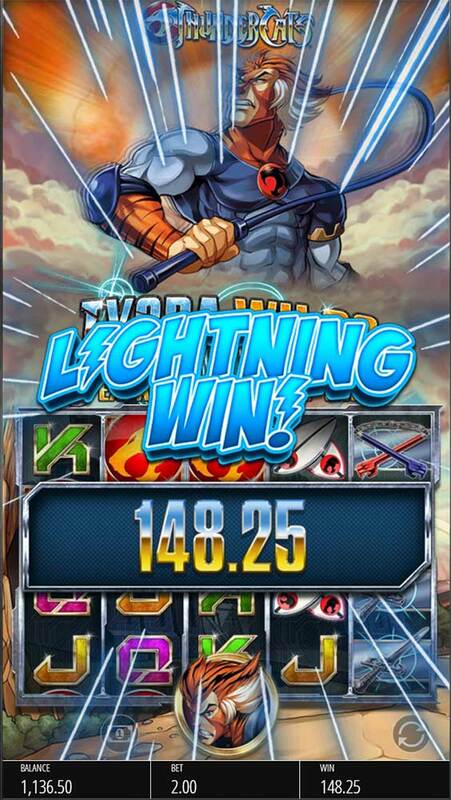 The Thundercats slot is one of our favourite slots we have reviewed this year, not only has Blueprint Gaming done a fantastic job in designing the slot to incorporate the Thundercats theme amazingly in terms of both visuals and sound effects but they have also produced an online slot with some really innovative bonus rounds too with the Mumm-Ra Free Spins being our favourite just for the chance of the re-triggering ever living spins! Even if you have no knowledge or interest in the 1985 cartoon series this is a slot to definitely check out, the base game is interesting with regular mini bonus features activating regularly, and the gamble up feature allows you to re-spin for a more rewarding free spins mode. It’s fantastic to see that Blueprint Gaming has ventured away from the regular 20 payline slots, as although always packed with bonus features they had started to become a little tiresome and formulaic. Thunder…Thunder… Thundercats Ho!!! 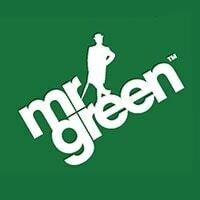 Go play it!